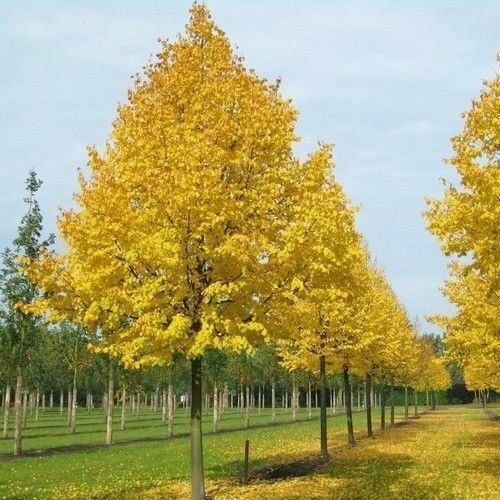 Tilia cordata, commonly called littleleaf linden, is native to Europe. It has been widely planted in the U.S. as an ornamental shade tree because of its (a) attractive foliage, (b) dense, low-branched, pyramidal to ovate form and (c) tolerance for urban conditions. 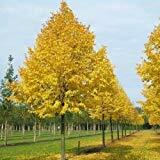 Ornamental features include fragrant pale yellow flowers in late spring, small nutlets with attached leafy wings (to 3.5" long) and ovate, shiny dark green leaves (to 3" long) with acuminate tips, serrate margins and cordate bases. This is a medium to large deciduous tree, typically growing to 50-70' (less frequently to 100') tall. Fragrant, creamy yellow flowers in drooping cymes appear in June. When a tree is in full bloom, bees often visit in such abundant numbers that humming can be heard many feet from the tree. Flowers give way to nutlets that are attached to narrow bract-like wings (top 3.5" long). Nutlets ripen in late summer. Fall color is an undistinguished pale green to pale yellow. A number of narrow pyramidal to fastigiate cultivars are available in commerce.